Who has been a part of a recipe exchange? What happens most of the time is people send an email with a recipe and you have to send a recipe to 10+ more people. I typically don’t get great recipes from a recipe exchange, but I did get this one that is right up my ally! 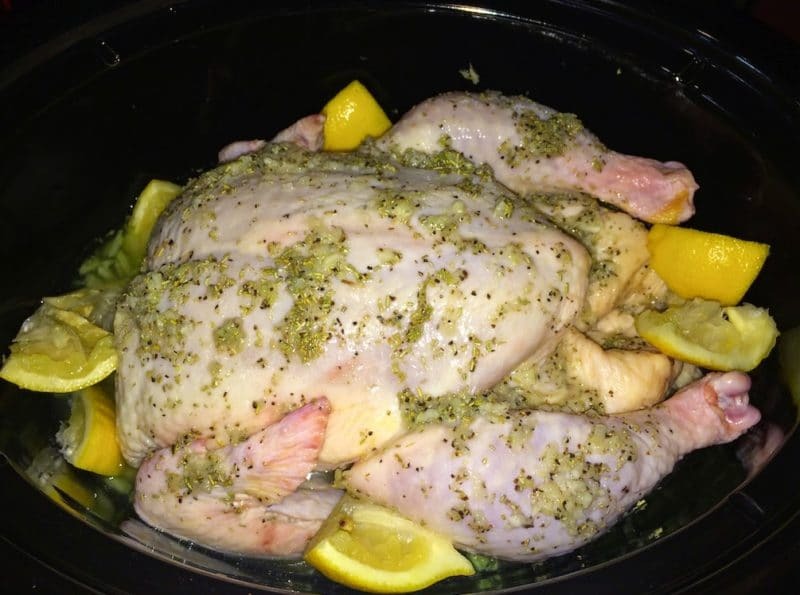 Number 1 – it’s a crock pot recipe. Number 2 – it has A LOT of garlic in this recipe. Number 3, it’s chicken. Well – you have my attention!! This one is from my sweet friend Cookie and I’m so excited to share it! 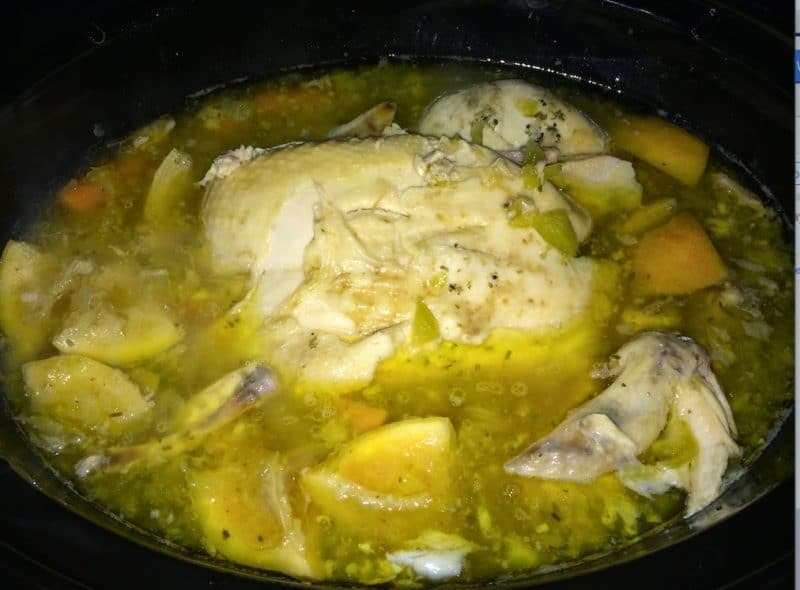 I love crock-pot recipes. They are perfect for fall/ weather and busy schedules! This one is super interesting because of the garlic and lemon rinds. I also use 2 drops of Young Living essential oil and it really brings out the lemon taste. The taste came out amazing and the chicken was very tender. This one is gluten free, as long as your chicken broth has no wheat included. It took me 10 minutes to prep this one and then off I went with my day! Enjoy this super easy recipe and thanks to Mrs. Vicki Davidson (Cookie) for passing it along! It’s definitely worth repeating! 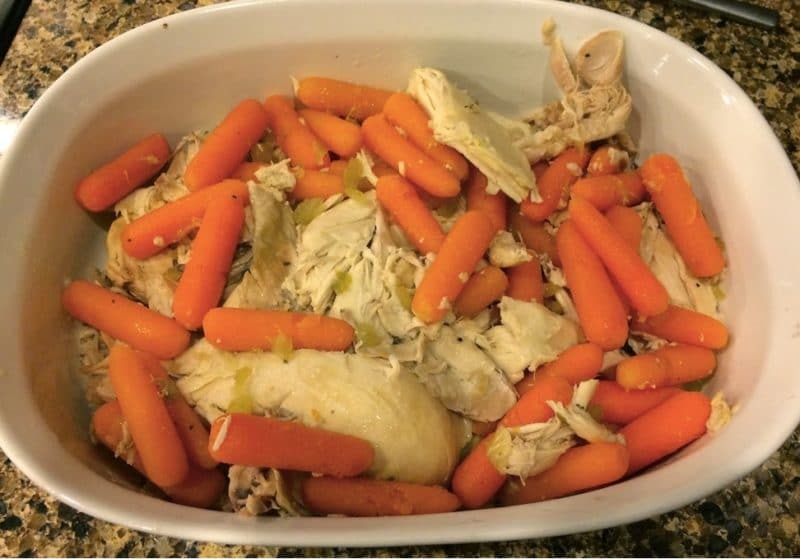 Place carrots and celery at the bottom of the slow cooker, and pour chicken broth over the celery and carrots just to cover them. Place chicken on top. In a bowl mix the garlic, juice of the lemon, rosemary and salt & pepper to taste. Save the lemon rinds. Then rub this mixture onto the chicken really well. Throw the lemon rinds in the crock pot and cover. Cook on low for 6-8 hours until chicken falls off the bone.